*Label M's Therapy Rejuvenating Oil Mist has gone some way towards solving these problems though. It can be used in one of two ways, either spritzed on to the hair before blow-drying to leave your hair silky smooth or after styling to soften the hair and protect from frizz. 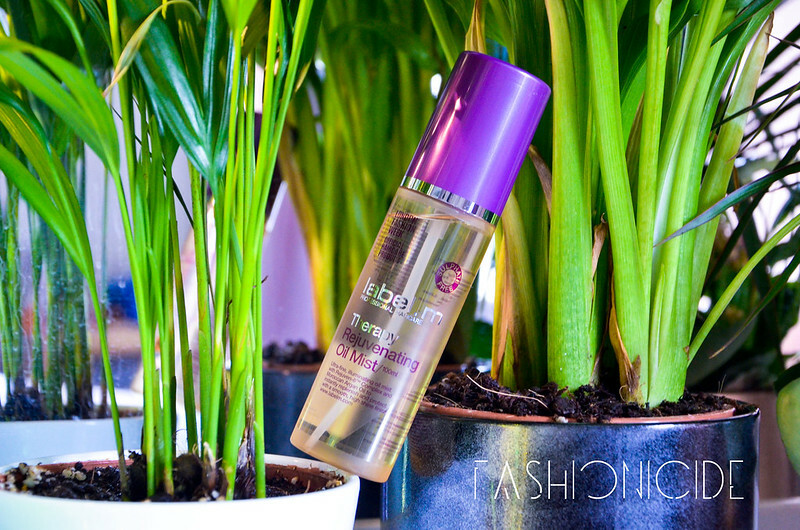 It contains a mixture of Argan Oil, olive oil, avocado oil and what Label M call 'Rejuven-8tm' which is designed to 'transform the look and feel of damaged hair instantly' - bold claims indeed! I've never really bought in to the whole Argan Oil hype, I remember there was a time a few years ago when all haircare brands were clamouring over the stuff. Now that buzz seems to have quietened down a bit yet it's still on the shelves, probably because the stuff is good, but it's hardly turned water into wine. I'd tried out a few products containing Argan Oil myself in the past, and I was underwhelmed, they just weren't that special. So naturally I approached Label M's claims with a healthy dose of scepticism! Frizz has never really been a problem for me until I began bleaching my hair a little bit too regularly. My hair was dark, smooth and nourished before my experiments in colour started, so frizz just didn't happen. But now that my hair is heavily bleached, it's quite susceptible to frizzing in damp, humid conditions. So to counter that, I spray *Label M's Therapy Rejuvenating Oil Mist on after styling my hair every morning. It's a light mist that, like most oils, smoothens the hair, but it doesn't feel heavy or greasy afterwards. I find that 3 sprays is usually enough, maybe 4 at a push. I just spray it into the air and walk though the lingering mist - it kinda feels like I'm in a perfume ad or something! My hair always looks super glossy when I've applied this and it feels so soft, something that anyone with bleached hair will know is like the holy grail. As for heading out into damp or humid weather, this blocks out some of the humidity, but not all of it. So there's still a chance that your hair won't play ball, but it's a lot better than anything I've seen out in the stores currently. The first time I used this, I noticed that I could actually feel the wind rushing through my hair, previously it was as if the air had come up against a straw-like barrier and it was genuinely unpleasant. So to go back to Label M's claims - my opinion is that this does transform damaged hair to a degree, though it doesn't make it any healthier, it just gives the appearance that your hair is healthier than it actually is. 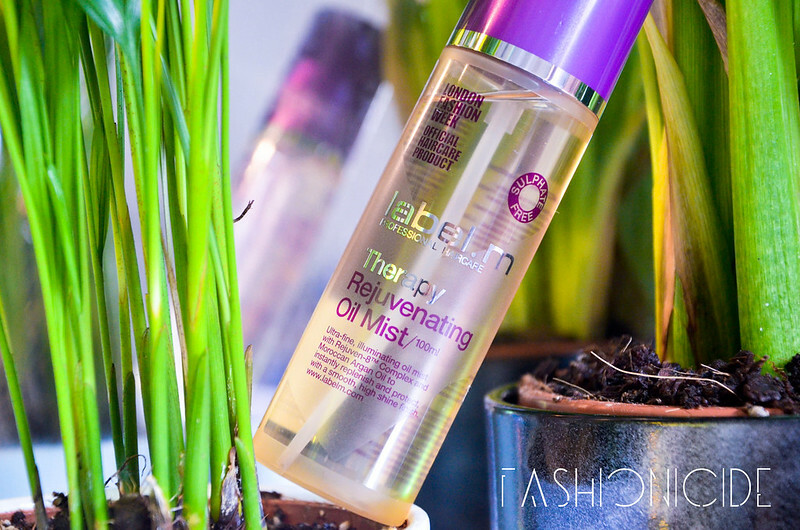 *Label M Therapy Rejuvenating Oil Mist is available to purchase from the official Label M website, priced at £24.95 for 100ml. This oil mist sounds and looks lovely. I will be checking it out.